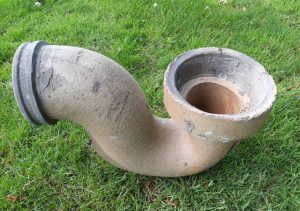 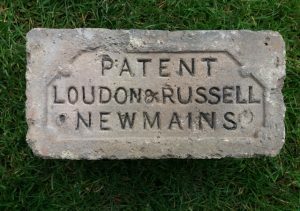 Loudon & Russell Allanton Fireclay Works Newmains. 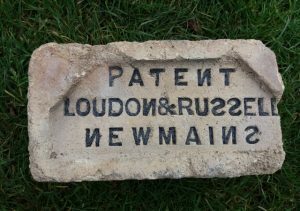 Below – The same stamp etc but on a brick that appears to have a thin salt glaze to the surface. 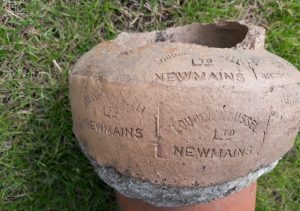 Unknown find location and kindly donated by Nick Basden. 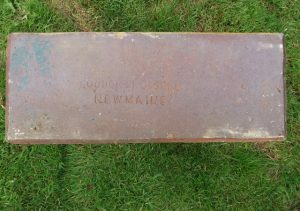 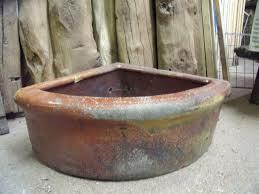 The following pages have been copied from a Loudon & Russell and a J & R Howie catalogue and depict the variation in trough design depending on whether intended for use by Horse, Cow, sheep, pig or poultry. 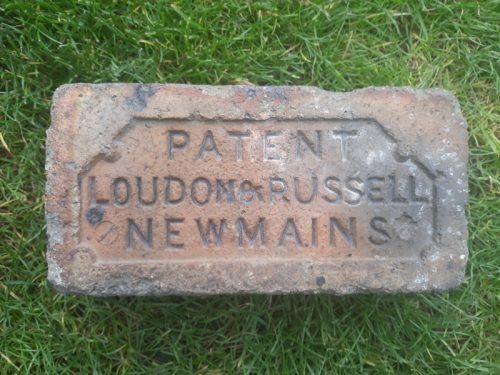 . . . . . . . .
Found by Michael Fallone in the Glasgow area. 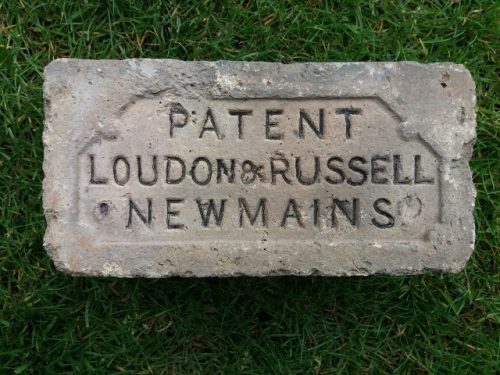 Loudon & Russell Allanton Fireclay Works Newmains Note the reverse ‘S’s’ and N’s – 7 in total . . .